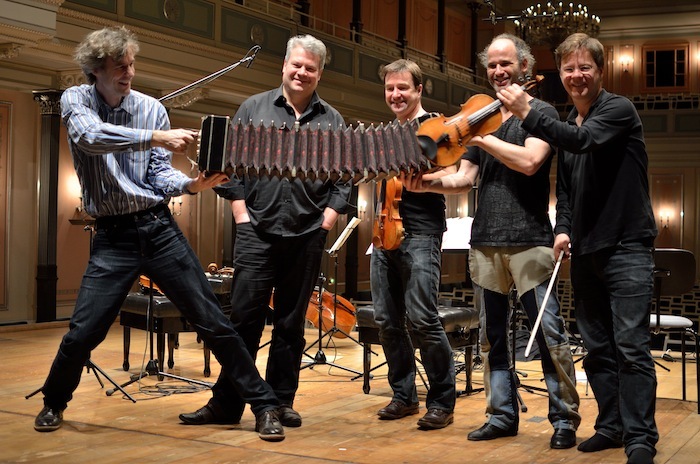 The collaboration between the Vogler Quartett & Marcelo Nisinman started already a few years ago. On november the 30th of year 2013 a concert was recorded live at Konzerthaus in Berlin and a new Cd is already out, released by Jazzwerkstatt label, Germany. The Cd includs the Premiere of a piece composed by Nisinman specially for the Vogler Quartett, “4 x Vogler”.